Please check out on the Untied States Sports Academy website on the Mobile County Training School Alumni Association Black Oral History interviews and conversations. We have much to be proud on and much to share with the world. I believe our history is extremely important to share with others to know and learn the best of who we are, and what they can become. Check out coaches Horton and Clark as they share their thoughts on the best of Coach Charles T. Rhodes. The Untied States Sports Academy is a great partner in helping us to achieve our mission and vision to the world. 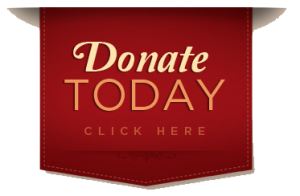 Donate Today to the Million Dollar Legacy Fund. Mrs. Valena McCants, Honorary Chairperson of the MCTS Million Dollar Legacy Fund. This website is designed and dedicated to capture both the memories and possibilities of all MCTS (high school) graduates, attendees, faculty, staff and supporters. The Mobile County Training School Alumni Association, a non-profit, tax-exempt, 501(c)(3) organization, is dedicated to protecting, preserving, and promoting the history and achievements of the MCTS family, and its descendants, by documenting and recording, for posterity, the accomplishments and experiences of its family by awarding scholarships and publishing the Alumni experience to encourage others. The Assocaiation is commited to integrity, perseverance, transparency, and resiliency in pursuit of its mission. Our goal is to share the MCTS Whippets story with the world. US Senator Cory Booker’s visit to Africatown spurred strong and encouraging words for the environmental justice resistance throughout the greater Mobile region. The Mobile Environmental Justice Action Coalition was formed in 2013 with the mission to engage and organize with Mobile’s most threatened communities in order to defend the inalienable rights to clean air, water, soil, health, and safety and to take direct action when government fails to do so, ensuring community self-determination. MCTS Alumni Member – Retired Major Joe Womack (Class of 1968) speaking about Africa Town and it’s rich history.